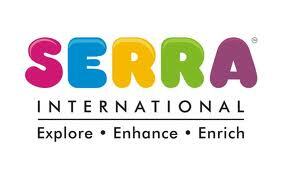 There is no dearth in terms of play schools in Pune. These respected preschools are known for their well-structured, child friendly study pattern and high standards of safety and hygiene. These nursery and kindergarten schools are counted among the best in the country. So, take your pick from this list of the top Play Schools in Pune 2019. Each school mentioned in this list is complete with detailed admission procedure. Shiny Pearl Preschool is located at Nigdi in Pune district of Maharashtra, India. Address : Plot no - 50, Pradhikaran, Near Dhnyanprabodhini School, Opp- Mukbadir School, Nigdi, Pune - 411044. Established in the year 1992, Play Pen Nursery School has stood like a rock, growing steadily but always with an eye to quality as opposed to quantity, with the child as its focal point. Address : Play Pen Nursery School, 119/9, Kokate mala, Opp D.K. Heights, Sus - Sutarwadi Link Rd, Pune – 411021. Whizkidz is one of the best play schools in Pune. First Step Pre School is a preschool whose curriculum is based on the Reggio Emilia approach mixed with kindergarten curriculum also known as Modern Theme Based Approach. Mon Ecole Pre-Primary School is a preschool that offers playgroup, half day and full day sessions. Poppins Kids Care Center is a daycare and preschool that offers a unique kind of childcare that all parents dream of having their child be a part of during those precious young years. Genius Kids Pre-school is one of the playschool that envision, nurture, develop, and enable today's children as tomorrow's leaders. Sanfort World Preschool was started with a vision to develop each child to his or her fullest potential socially, emotionally, physically and intellectually. 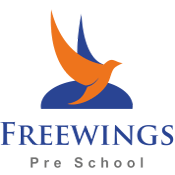 Freewings is a pre-school venture established in the year 2014 to embrace the challenges in the area of child education & development. Swanand Day Care Centre has been created by a passionate group of educators and entrepreneurs with the main aim to provide our little ones with a warm, stress free, beautiful, secure, home like environment. Kidz Kingdom is a Preschool started with a vision to to cater to each child’s social, emotional and developmental needs and provide an environment which allows the child to grow and develop self-confidence.